Art with Mrs. Nienhouse: What's going on in the art room? 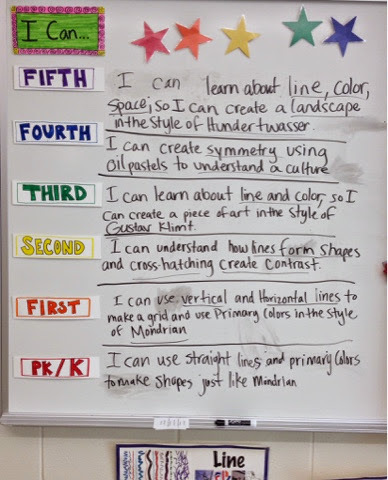 Here are the lesson objectives for each class. This helps the students understand the goals for the projects. They are posted for our visual learners and students repeat them with me to help our auditory learners remember.